Insurance, ever since it began, has always been a seller’s market. It has enjoyed complete control of the buyer and provider relationship for over hundred years. Until the past few years, when digitization disrupted the market completely everything started to change. Customers started to gain awareness about a lot of opportunities that suddenly became available to them. They are now becoming more educated, more aware, and more empowered to take better decisions. 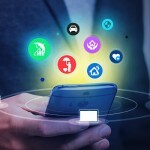 To survive and prosper, insurance providers must start seeking to gain competitive advantage by engaging with their customers using an omni-channel approach, connecting with them via multiple touchpoints and leveraging data to communicate in a personalized and contextual way. Building a relationship with the customers is becoming equally important as acquiring them. The changing insurance landscape is demanding it, technology is enabling it and leading influencers are turning it into reality. 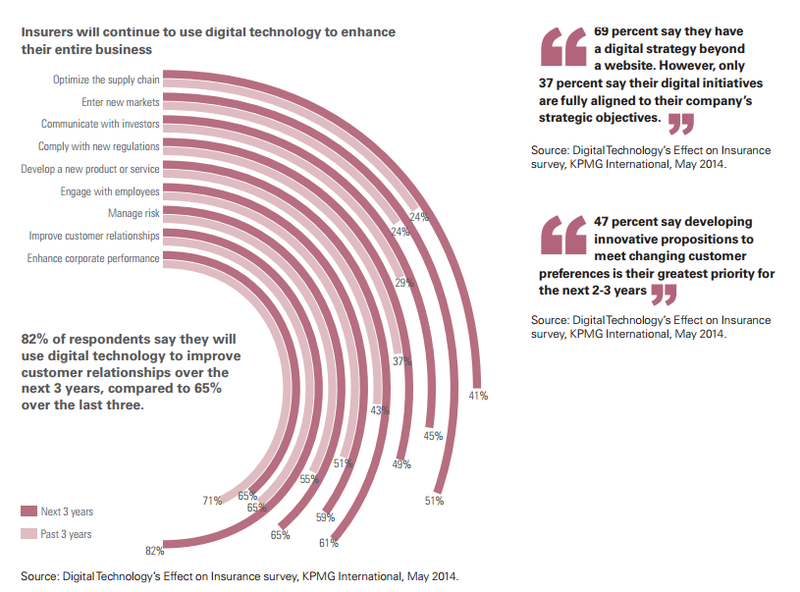 For most of the consumers, products, services, and features that are being offered by insurance industry are either considered futile or traditionally display low levels of engagement. Some people may end up buying insurance, premiums and other plans thinking that they must, but very few feel that these facilities and services have the best of the intentions. It is imperative that the customers demand reasons to be sold anything and they have unprecedented access to social media which they never shy away from for spreading word for everything—whether its about positive experience or otherwise. 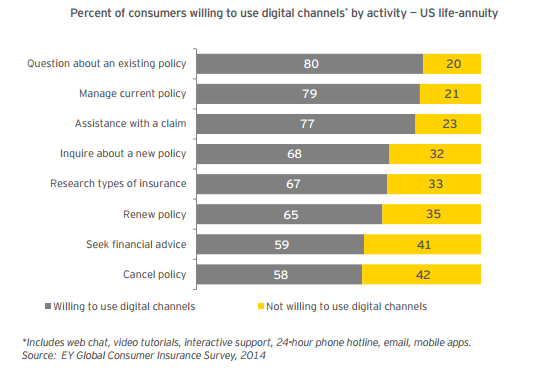 The first step in omnichannel digitization in insurance is to understand how customers relate to insurance providers and purchase policies, and then extract actionable knowledge out of it to strategize on providing a superior and seamless customer experience. The buyer journey across all business verticals has changed—consumers are now spending more time on research now more than ever about everything before purchase—including complex offerings such as insurance policies and financial services. The process can start anytime and anywhere—like an advertisement placed strategically on any blog or a website or any social media platform for that matter. The ad can either be placed for generating lead or a case study or simply a landing page about the benefits and on-screen chat session—the objective of all these is simple—meeting with insurance agent, aided by digital support enabled with CRM. Moreover, insurance industry has unprecedented access to the vast amount of data they have on their customers and their usage. It’s just a matter of how they should use to earn trust & loyalty while driving conversions. Let’s take a simple example: Thomas is a high-value and premium customer who has been with an insurance company for a very long time and suddenly switches and goes ahead with the new company. Now the previous company wants him back—it isn’t easy—but, let’s say, if they have a single view of all their customers, it can be strategized to bring him back. 360 degree analytics show that the customer’s daughter has grown up and must join a school, now with the help of predictive analytics propensity to buy a certain plan can be figured. Now relevant and contextually personalized offer can be made through the customer’s mode of communication—be it push notification, email, 1:1 agent interaction or even social media. This assures a high chance of conversion resulting him to be back with the original insurance company. Furthermore, the usage of robo-advisory is quickly gaining momentum to track financial records of the customers to recommend products and plans that suit them best. Not only this, with omnichannel digitization, insurance companies can automate their sales force to increase productivity and get better results. Traditionally, it is hard to keep track of all the agents who are on field to visit customers and prospects, with digitization their movements, customer visits, and productivity can be tracked and monitored. Not only this, while the representatives are commuting other prospects can be recommended to them. This results in accurate and timely actionable sales data and reduces fake visits. Moreover, the expense management can become whole lot easier with the ability to upload invoices and bills in the internal app itself. Implementing gamification modules in the internal app gives more conversions as the agents start competing to get more customers on board, just to get those achievement badges, rewards, gifts and topping those leaderboards. ShepHertz App42 Platform not only puts enterprises on a continual transformation path where they can launch new use cases and campaigns quickly without depending on the tech teams but also assures an end-to-end support in omnichannel digitization. All the use cases in insurance can be found here. You may also fill up this short form to schedule a demo and one of our experts will be in touch you to show how much you can achieve with ShepHertz App42 Platform. Product marketing head at ShepHertz. 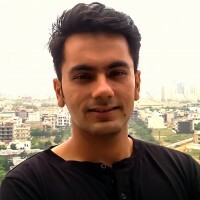 With a rich experience in the field of result driven digital marketing strategy,he has consulted and contributed in the meteoric success of many omni-channel apps. Between writing and marketing, he finds enough time to cook, eat, workout and watch movies.